The Law Offices of Vincent Wong are investigating potential claims against the Board of Directors of Premiere Global Services, Inc.
Faruqi & Faruqi, LLP, a leading national securities firm headquartered in New York City, is investigating the Board of Directors of Premiere Global Services, Inc. The following statement is being issued by Levi & Korsinsky, LLP: To: All Persons or Entities who purchased Premiere Global Services, Inc. Premiere Global Services (PGI) stock is soaring in pre-market trading on Thursday, after receiving a $1 billion buyout offer from Siris Capital Group. Investors eyeing a purchase of Premiere Global Services Inc shares, but cautious about paying the going market price of $11.13/share, might benefit from considering selling puts among the alternative strategies at their disposal. One interesting put contract in particular, is the March 2016 put at the $10 strike, which has a bid at the time of this writing of 60 cents. In trading on Friday, shares of Premiere Global Services Inc crossed above their 200 day moving average of $10.99, changing hands as high as $11.19 per share. 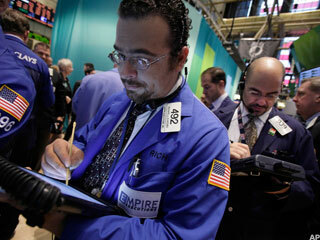 Premiere Global Services Inc shares are currently trading up about 16.4% on the day. The most recent short interest data has been released by the NASDAQ for the 12/31/2014 settlement date, which shows a 251,683 share decrease in total short interest for Premiere Global Services Inc , to 1,064,712, a decrease of 19.12% since 12/15/2014. Total short interest is just one way to look at short data; another metric that we here at Dividend Channel find particularly useful is the "days to cover" metric because it considers both the total shares short and the average daily volume of shares traded. Premiere Global Services Inc (PGI) has been downgraded by TheStreet Ratings from Buy to Hold with a ratings score of C.
Premiere Global Services (PGI) stock is up after it reported that second quarter results rose from a year ago, and reaffirmed its fiscal 2014 financial outlook. In trading on Friday, shares of Premiere Global Services Inc crossed below their 200 day moving average of $10.70, changing hands as low as $10.62 per share. Premiere Global Services Inc shares are currently trading off about 3.1% on the day. In trading on Friday, shares of Premiere Global Services Inc crossed below their 200 day moving average of $10.71, changing hands as low as $10.16 per share. Premiere Global Services Inc shares are currently trading off about 5.9% on the day. Investors in Premiere Global Services Inc saw new options become available this week, for the March 2014 expiration. One of the key data points that goes into the price an option buyer is willing to pay, is the time value, so with 198 days until expiration the newly available contracts represent a possible opportunity for sellers of puts or calls to achieve a higher premium than would be available for the contracts with a closer expiration. In trading on Monday, shares of Premiere Global Services Inc crossed below their 200 day moving average of $10.43, changing hands as low as $10.42 per share. Premiere Global Services Inc shares are currently trading down about 1.5% on the day. In trading on Friday, shares of Premiere Global Services Inc crossed below their 200 day moving average of $10.26, changing hands as low as $10.00 per share. Premiere Global Services Inc shares are currently trading down about 3% on the day. PGi (NYSE: PGI), a global leader in virtual meetings for more than 20 years, and Plantronics, Inc.
PGi (NYSE: PGI), a global leader in virtual meetings for 20 years, today announced the launch of GlobalMeet 3. 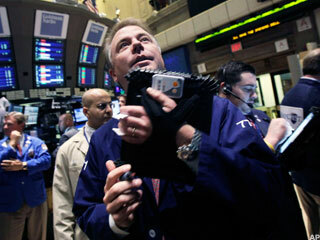 Shares of Premiere Global Services (NYSE:PGI) have taken a tremendous swing upward. The stock is trading at $9.83 as of 10:25 a.m. ET, 22% above Thursday's closing price of $8.06. Volume is at 245,182, 1.6 times the daily average of 157,000. PGi (NYSE: PGI), a global leader in virtual meetings for 20 years, today announced that it plans to release results for the first quarter ended March 31, 2012, after the market close on Thursday, April 19, 2012.